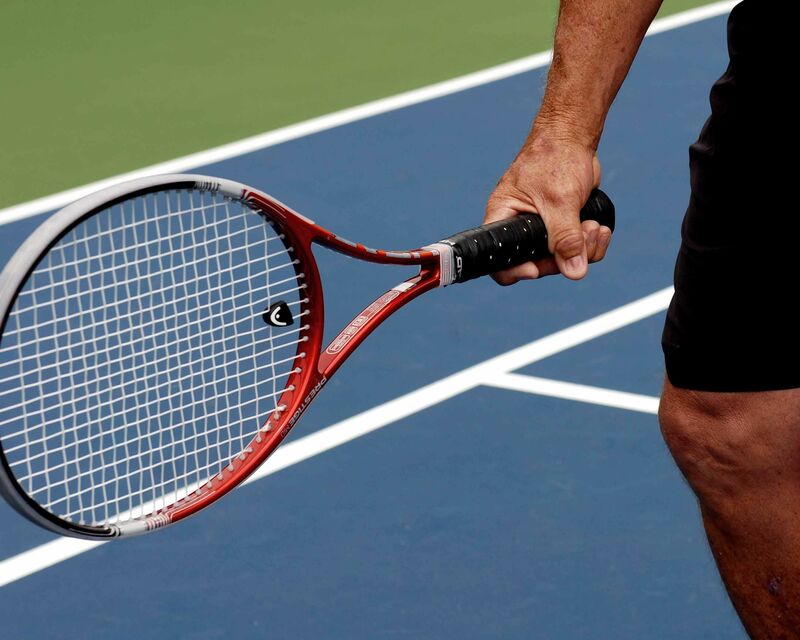 One of the first grips that every tennis player will learn is the continental grip. In general, this grip is something that all players have in common when taking a volley shot or serving the ball to get a game started. Let us explore the features of the continental grip and how it is played in the game. A very conventional grip, the continental is also highly convenient. When playing tennis, there is no need to change grips when transitioning from stroke to stroke if you start off holding the racket with a continental grip. That being said, this grip isn’t ideal for highly competitive games or when you want to generate a lot of topspin. That is why other grips evolved in the game of tennis. The most simple way to explain how to hold a continental grip, which many beginners will be taught, is to ‘shake hands with the racket’. This is the best way to get an almost perfect continental grip. It is also the most comfortable way to hold a racket which is why it is still popularly taught to beginners. What are the benefits of the continental grip? Firstly, the continental grip is highly effective and has proven to remain effective no matter how much tennis has evolved and become competitive. The reason it is so effective is because the angle of the racket is completely neutral in a continental grip, meaning you can change from forehand to backhand without changing the angle of the racket. Furthermore, the racket of a continental grip is open faced and angled up towards the sky. This neutral angle combined with this positioning of the racket allows a player to have open flexibility when moving for the ball and position for shots of any depth and angle. The main issues that people have with the continental grip is that it can be too neutral for super competitive tennis games. It doesn’t allow much scope for aggressive shots or sneaky topspin. Rather, the ball can land at predictable angles making it harder to trick the opponent. For a leisurely hit the continental is perfect, but more in depth games other grips need to be included. Nonetheless, the continental grip can still be used in a wide variety of shots. Some of these shots include half volleys, overheads, and slice and chip shots. If you’re a beginner, you can always consult your professional tennis coach!